Before travelling overseas, it’s important to get any required vaccinations, organise travel health insurance, and research any health risks specific to your destination. 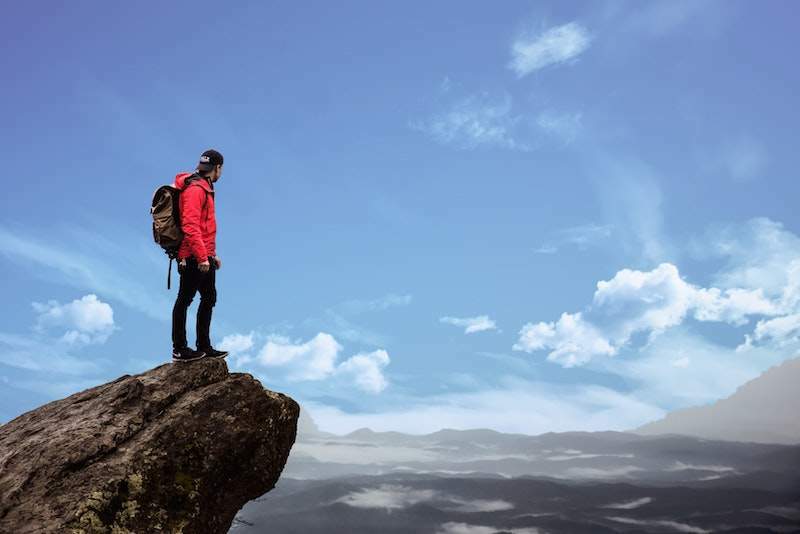 With many of the world’s most incredible holiday spots located at high elevations, these risks may include altitude illness. Read on for advice on how to prevent and manage illness when travelling to high places. Altitude illness occurs when a person moves from a lower altitude to a higher one too quickly. There is less oxygen in the air at higher altitudes, so the body needs time to get used to operating with less oxygen. The higher you ascend without giving your body time to acclimatise, the higher your risk of becoming ill. Early warning signs include fatigue, headaches, nausea, light-headedness, shortness of breath and insomnia. Mild forms of the illness will usually be symptomatic within the first day of reaching a higher altitude, and then improve within about 48 hours as your body adjusts. If these symptoms worsen over time and are accompanied by loss of coordination, vomiting, and tightness of the chest, the altitude illness might be more serious, and the person should be moved to a lower elevation as soon as possible. A person with severe altitude illness may experience an inability to walk, shortness of breath, skin discolouration, and a cough. If these symptoms are present, the illness is an emergency and the person must be taken to a lower elevation and have immediate medical attention. Ongoing hospital care may be required in serious cases. Australia is the flattest continent in the world, with an average elevation of 330m, so there is very little risk of altitude illness in Australia. However, it does mean that Australians are often not acclimatised to high altitudes and may be more susceptible to illness if they ascend too quickly. Altitude illness can occur at elevations of 2500m or higher and is sometimes referred to as mountain sickness. However, it is not only mountain climbers and hikers who are at risk. There are over 30 popular tourist cities in the world at altitudes above 2500m, including several cities in China, Peru, Mexico and Bolivia. It’s always important to check the altitude of your travel destination before you fly. Ascend as slowly as possible, giving your body time to adjust. If possible, avoid ascending higher than 2500m on the first day of your trip and do not climb higher than 300-500m per day. Keep physical activity to a minimum until you have adjusted to the altitude. Exercise causes the body to consume more oxygen, which is less available at higher elevations. Avoid multi-day hikes until you have adjusted to the elevation. Altitude illness can get worse overnight, so it’s important to descend as low as possible to sleep. Drink plenty of water and avoid alcohol and tobacco. Cigarettes and alcohol dehydrate the body and increase your risk of illness. Your body needs more calories at higher altitudes, so bring plenty of carbohydrate-based food to maintain energy levels. Try to eat smaller, lighter meals to avoid additional stress on the digestive system whilst climbing. To protect you and your family against altitude illness and other health risks whilst travelling, ensure you book in for a pre-travel medical consultation at least six weeks before departure. Our travel doctors are up-to-date with international medical developments and will offer you tailored advice based on your itinerary and individual health needs. To make an appointment at Bluff Road Medical Centre, call (03) 9598 6244, click here to book online or download the HotDoc app. To book in with our travel doctors at Bayside Family Medical, please call (03) 9583 1630. Copyright 2015 Bayside Family Medical | All Rights Reserved.